Last month, credible sources reported that Microsoft was close to acquiring Obsidian Entertainment, the company behind such games as Fallout: New Vegas and Pillars of Eternity. Yesterday, Microsoft announced that deal is set, along with the acquisition of inXile Entertainment. Near the end of X018, Matt Booty, the corporate vice president of Microsoft Studios, announced that they were set to buy both of the independent RPG developers. The news about Obsidian was simply confirmation on some month-old news first reported by Kotaku, but the purchase of inXile Entertainment, which has made games like Torment: Tides of Numenera and Wasteland 2, is more of a surprise. It’s even more surprising given that back in September, inXile head Brian Fargo said he was considering buying back Interplay, the studio he co-founded back in the early 1980’s. These two new acquisitions are the latest in a series of developer acquisitions by Microsoft. It’s last purchase was Ninja Theory, the studio behind Hellblade: Senua’s Sacrifice. Some of the other studios that are a part of Microsoft Studios, Microsoft’s game development branch, are Compulsion Games, Playground Games, and Undead Labs. Back in August, Matt Booty spoke to gamesindustry.biz about the kind of studios they’re interested in acquiring. I don’t want to seem like we’re going out to fill a quota. It’s not about filling a spreadsheet by any means. We will, however, have an interest in studios right now that fit this criteria of 50 to 100 people, who are making games on a two to three year cadence, and have content that we think will be of interest to our Game Pass subscribers. That means content that is a little different to what our big AAA franchises can deliver. 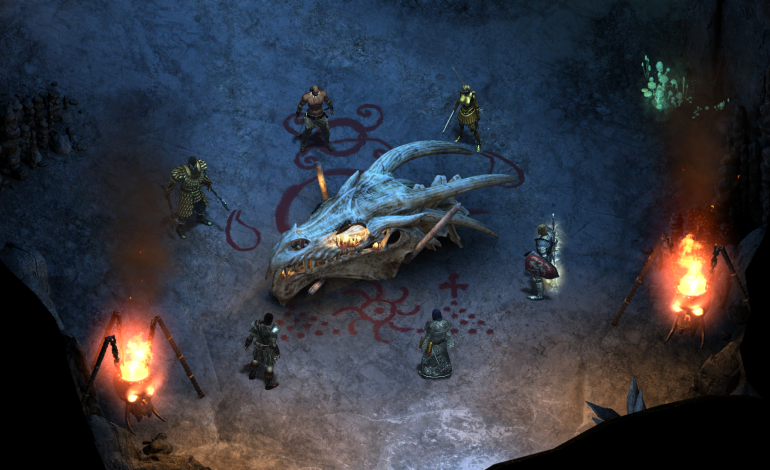 Both Obsidian and inXile also released videos talking about the opportunities the acquisitions give them.